I’ve added an English language version of my text in italics for my VAST international readership (ha!). Tell me how you like it! 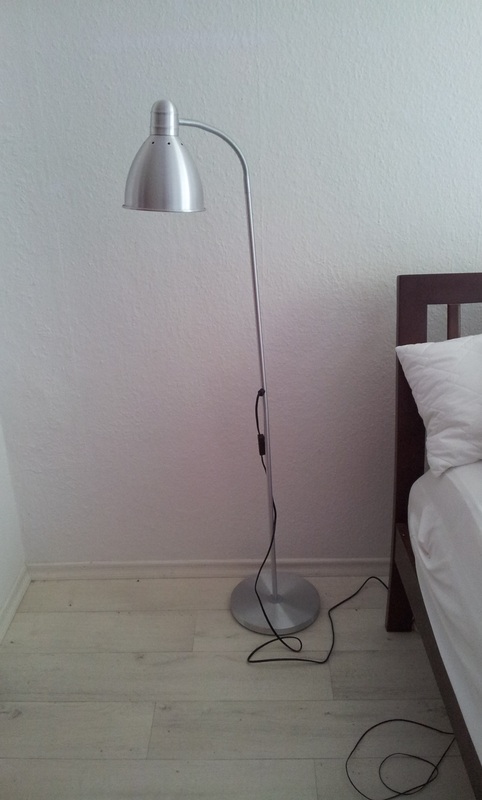 Weil es gestern so heiß war, dass ich kaum denken konnte, habe ich mich einer Sache gewidmet, die mich schon lange geärgert hat: meine Leselampe im Schlafzimmer. It’s very hot here in Germany at the moment, and yesterday it was too hot for me to do my brainy work. So I decided to fix something that’s been bothering me for quite some time now: my reading lamp in the bedroom.